A day of advice, information and fun activities focusing around ‘getting digital’ is taking place in Sutton this week. The annual ‘Wise & Well’ event, which promotes services for people over 55, is run by Sutton Housing Partnership (SHP) and will take place at Sutton Salvation Army on Friday 6th October from 10am to 12:30pm. 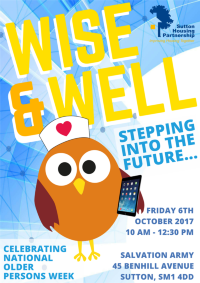 This year Wise & Well will be helping local residents ‘step into the future’ with displays and demonstrations from partners including the Met Police who’ll be discussing cyber crime, the London Fire Brigade who’ll advise about registering appliances online, the Barclays Digital Wings Team who’ll be advising about the latest digital trends, and Mears who’ll will be running a competition for participants to win a tablet. Alongside games and workshops to help improve balance and physical well-being, other local organisations attending will be; the Alzheimers Society, Livewell, Sutton Uplift and the Digital Engagement Team from Sutton Central Library. SHP have also partnered up with Age UK Sutton to host digital workshops which will be run by local students to help gain confidence and employability skills, details will be at the event. Everyone is welcome to come and take part in this interactive and exciting event. The autumn edition of Homefront is about to hit doorsteps and it's also available for you to read online. 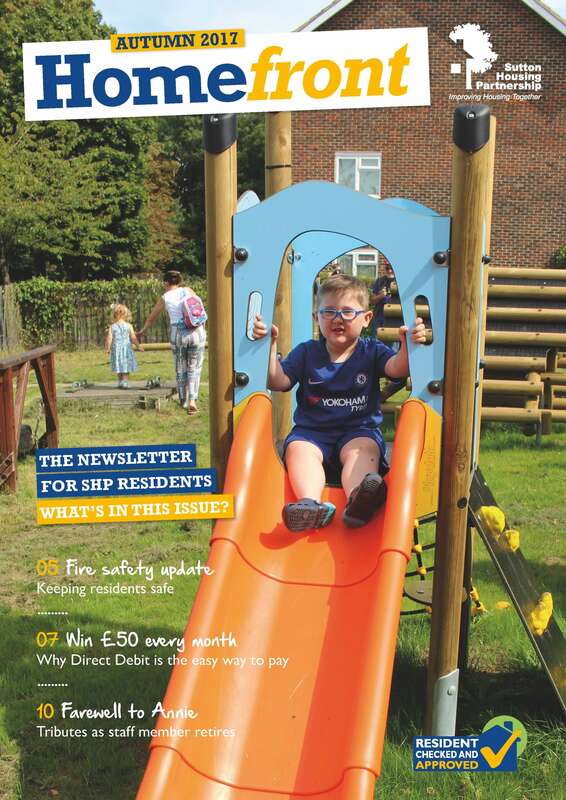 Inside you can read about how we're keeping residents safe with our fire safety updates, find out how you can be in to win £50 a month by paying your rent by direct debit, and we also farewell Annie as she retires after 36 years with SHP.